Please note it is your individual responsibility to register, upload a signature and confirm the declarations personally. Please do not ask someone else to do this on your behalf. You must also supply an individual email address which you check regularly. You are required to pay on an individual basis on registration and enrolment. Large practices may apply for group invoicing facilities. This must be agreed in advance with Improve International and is at our discretion. Discounts are only available on individual bookings, see fees. In addition it is your responsibility to ensure your RCVS membership is up to date to remain an OV. If you work as a locum and are intending to enrol for the OCQ(V)S CA and/or SX we would like to make you aware that you are required to enter your RCVS registered address in all PET Passports that you issue. You must keep your details on the database up to date at all times to ensure that the address where you are registered as working matches the address that you enter on Pet Passports. If you are working in more than one Practice at a time, further addresses may be entered in a comments section associated with your registration details. The majority of the OCQ(V)s are delivered and assessed online, once you have registered and paid for the relevant OCQ(V) you will have unlimited access to the relevant Learning Management System. (LMS) via this website. The time taken to complete the online training will vary from OCQ(V) to OCQ(V) and also on the individual's own speed of working. Most OCQ(V)s will take around six hours but the OCQ(V)s ES, TT and CA will take around eight hours. The Cymorth Course carries 16 hours CPD and VPHB carries 20 hours. This training can be counted towards your RCVS CPD hours. You may take the online assessment as soon as you complete the training. If successful please allow ten working days for APHA to grant you OV authorisation or approval. These will be downloadable from your Personal Training Dashboard. There will be two certificates, one for successfully completing the OCQ(V), and the other the authorisation or approval from APHA to act as an OV. OCQ(V) - TT will also have a conditional OCQ(V) certificate and conditional OV approval status. Full status will be awarded on successful completion of the practical assessment which must be within six months. Veterinary Practice magazine is home to the Official Vet column, providing OVs with the latest news and updates from APHA and Improve International as well as featuring interesting articles on topics relevant to the industry. Register now for exclusive discounted rates. Book here. 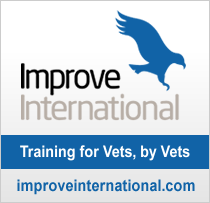 Independent, confidential and free help for everyone in the veterinary community.